This is our most affordable basecoat / clearcoat service. 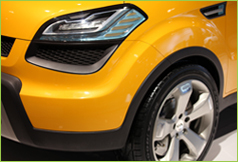 For this package we recommend the use of Matrix urethane basecoat's and clear's for a complete over-all paint job. 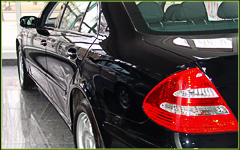 Matrix will also perform well for spot repairs and panel blending for scratch, dent and collision repairs. Matrix automotive paint is an industry leader when it comes to restoring vehicles to their natural color and finish for such an amazing price! We utilize 3M, Evercoat and Smart products and materials. In this package, our workmanship comes with a two year warranty and will compare to... or exceed factory OEM standards! ​​NOTE: The prices below are based on vehicles in need of a refinish due to color fade-out, severe swirls, pitting, marring, medium to heavy scratches or a simple desire to change the color of your vehicle. For more information on this package... feel free to fill out our "request for information form" found on our contact us page. ​​All labor and material needed for this package are included in the prices below except for the basecoat. Basecoat varies in price so drastically depending on the tints and toners within the color of choice, making it impossible to predict the price so that we can include it into the pricing below. Rest assured! Matrix basecoat's are very affordable and can be matched to factory codes, plus we have a wide variety of colors to choose from. This package is a 2 Stage, Basecoat / Clearcoat Service. Our prep for this package includes sanding the entire vehicle to remove the minor defects listed above and to create a fusible surface. We remove adequate parts and mask off all necessary surfaces and trim. Door and trunk jambs are not included in this package. The price is $75 per jamb. Gift certificates branded to the packages will include a previously discussed total out of pocket price.